Purchasing top quality golden gravel for sale in Eccles can be tough, but what if we told you that you can buy the best golden gravel online and benefit from a delivery service that will deliver the best golden gravel to Runcorn, Lymm, Knutsford as well as all other locations in the North West region? Well, that's what we do! 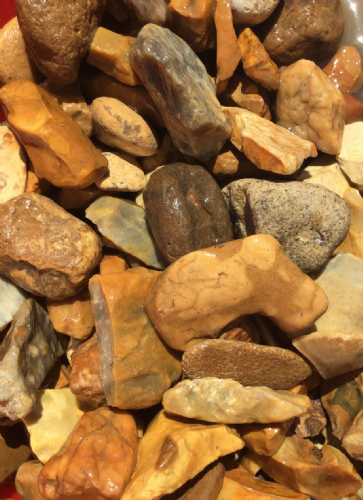 When you come to Greenvale for the delivery of golden gravel Runcorn wide, you can expect a gravel that is stunning in appearance as well as impressive by its working capabilities. You can guarantee that any landscaping area, whether it be a driveway or a patio for example, will be instantly transformed. Regardless of where you live, from Lymm to Knutsford and beyond, you can bet your bottom dollar than when you buy order the delivery service of our golden gravel for sale Eccles wide, you will be more than impressed. Look No Further For Golden Gravel In Runcorn! Greenvale make it easier than ever before for you to order products online.Though we operate in Burnley, we deliver all products across Lancashire such as our golden gravel Runcorn wide. As you can imagine, such a prestigious service really reinstates the fact that we are the number one company for golden gravel for sale in Eccles and beyond. So, what are you waiting for? Get in touch with us at Greenvale today and expect the most affordable price for the delivery of all products across Lancashire to areas such as Knutsford, Lymm and beyond.